I’m one of those people that gets an idea and wants to jump ALL IN. So last year when I decided I wanted a backyard garden, I immediately wanted to dig up the yard and get going. Problem is, I’m not even in the same color family as a green thumb. I’m whatever the opposite is! So instead of ruining the entire look of the backyard for my 1 weekend idea I decided to go small. Enter – Target! They always have such a great selection of outdoor products this time of year and I fell in love with these Threshold Stone Planters as soon as I saw them! After some thought, I decided to find something that I could move around easily. Obviously a stone planter filled isn’t the easiest to move so when I saw the cedar plant caddy I knew exactly what I was going to do! 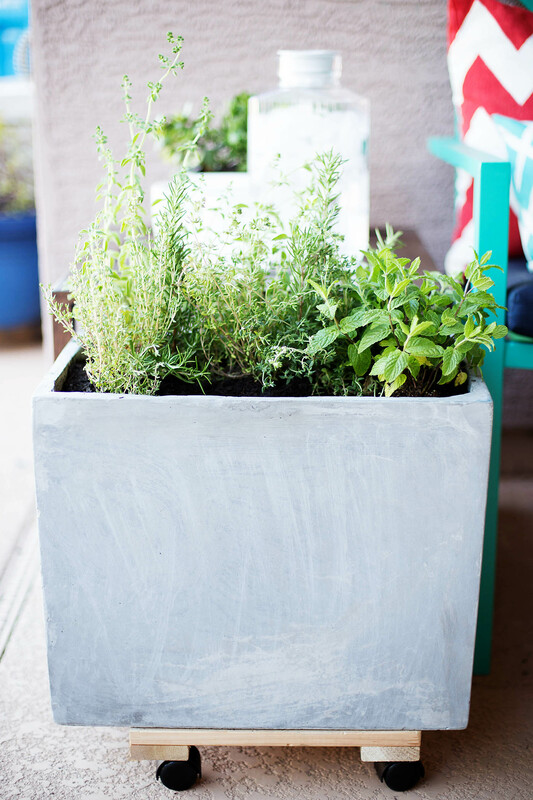 By having my herb planter on wheels, I can easily move it farther into the shade, or out to get some sun. It gets SO hot here in the summer and I’ve already seen the benefit of being able to move it around. Once I find a good spot for it, I can remove the caddy and use it on a new planter of herbs! 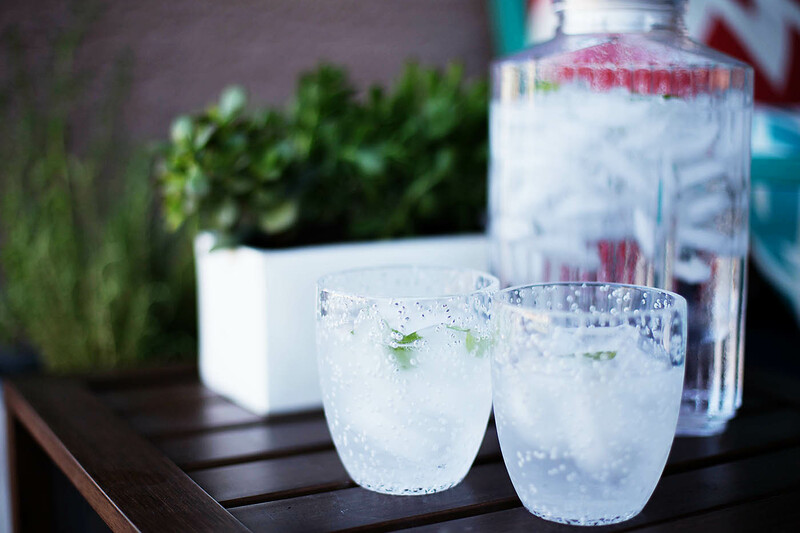 Plus, it looks so great on the patio it adds more to the feel of the outdoors than my digging up ½ the backyard would have at first. 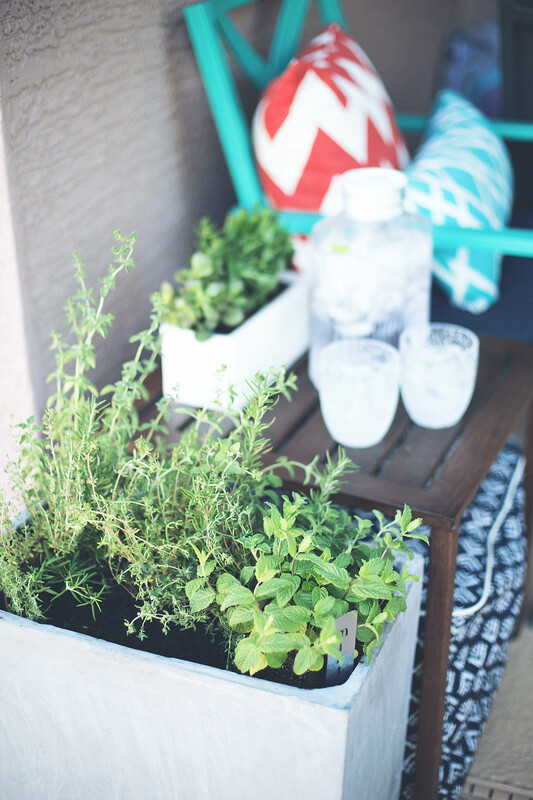 I’m already thinking I need to add more of these stone planters onto the patio – one with a big cactus for sure! Target had some great organic soil and compost as well, which made my shopping that much easier! 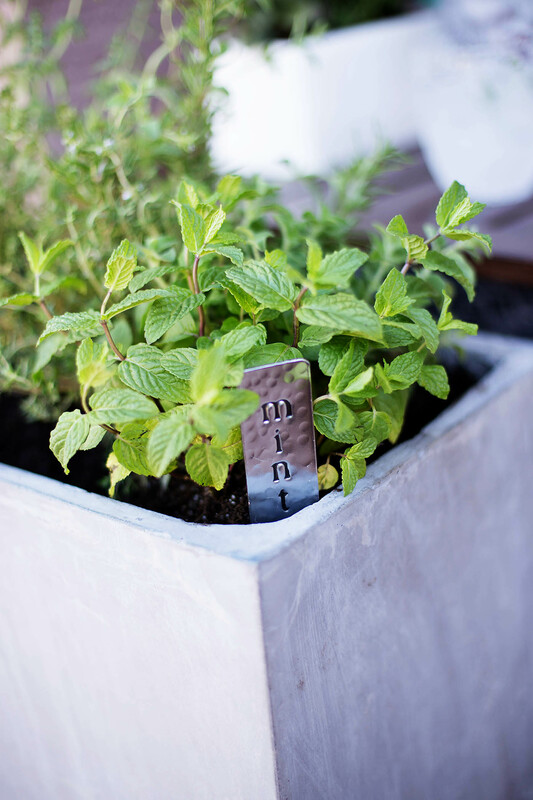 Having the boys help me with our herbs is a fun way for me to introduce them to the idea of growing our own food. They love to throw mint (in this case spearmint) leaves into water when we’re playing outside. 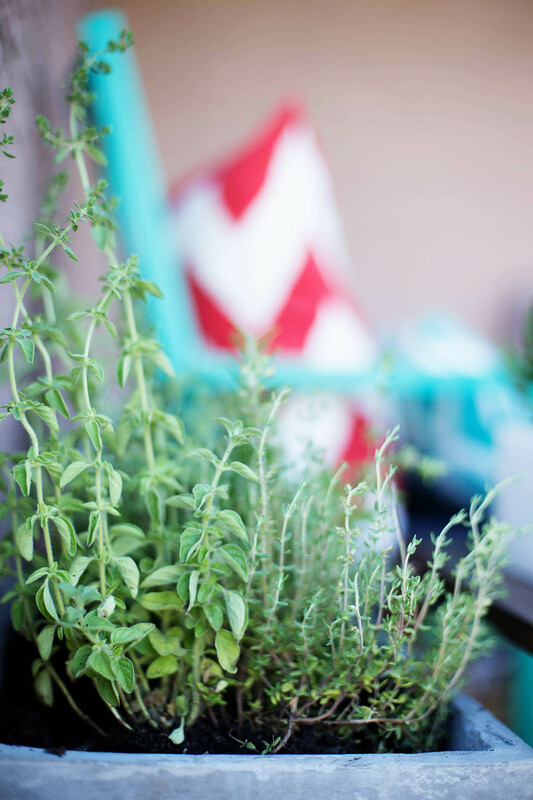 This has become my perfect work spot and I LOVE how good the herbs smell as well! We’ve been using them often and it’s really helped me step into the hobby a bit. 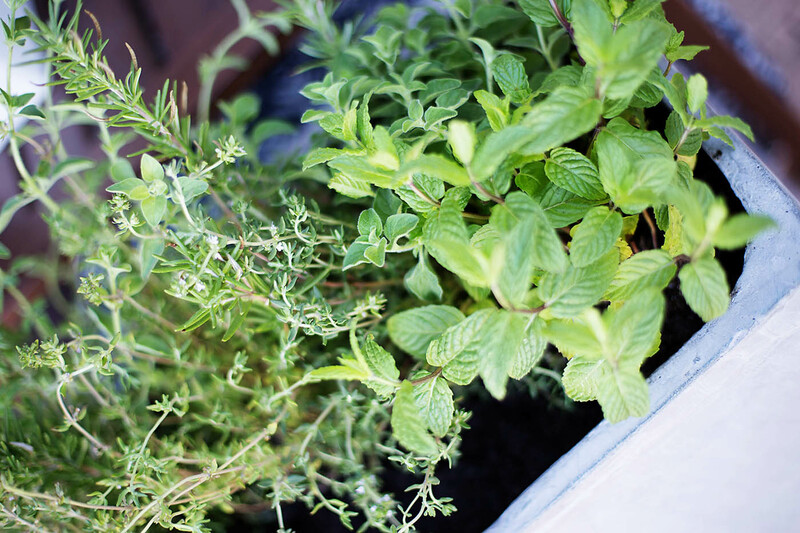 What do we make with fresh herbs? 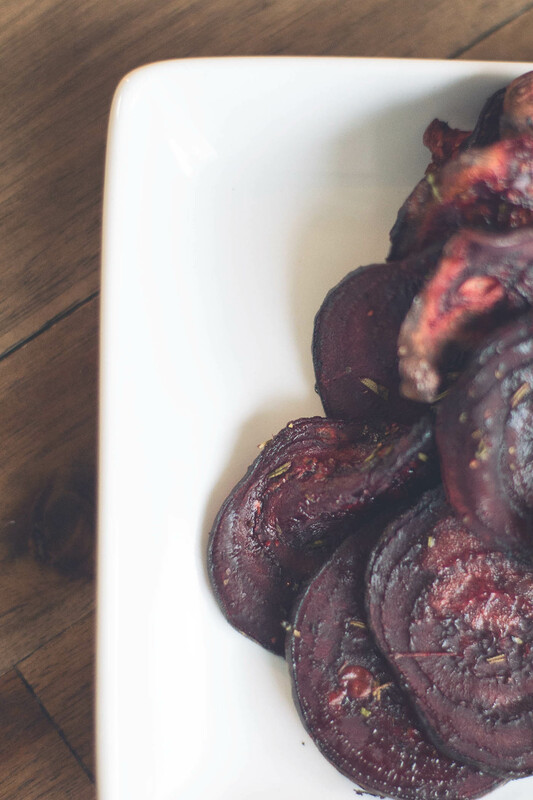 How about our latest fave – beet chips! Just slice a few (washed) beets with a mandolin, lay on a baking sheet, drizzle a bit of olive oil (not too much), salt, pepper and favorite herbs. 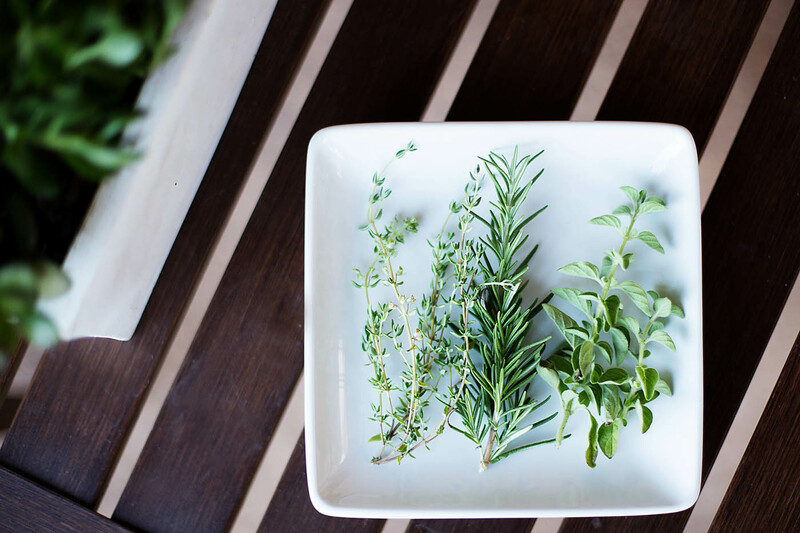 I love using rosemary and thyme on mine! 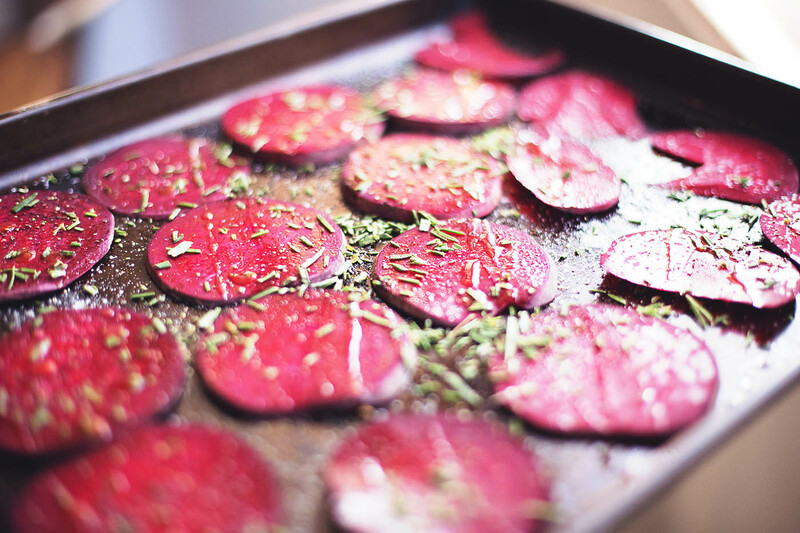 Rotate beets to even out the oil and herbs and bake for about 20 minutes at 375F. You’ll want to watch the beets towards the end so they don’t burn. 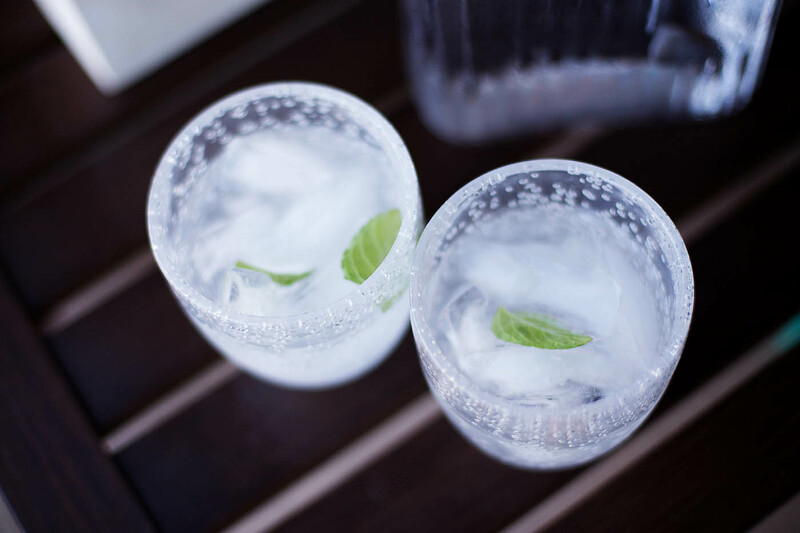 They’ll crisp up a bit when you take them out. If they didn’t cook quite long enough to be chips, they are still good (more like roasted beets) and they’ll have more of a beet flavor. If you aren’t a huge fan of the beet flavor just make sure they bake until they’re crispy and the flavor will be more subtle with the salt, pepper and herbs really taking the show! 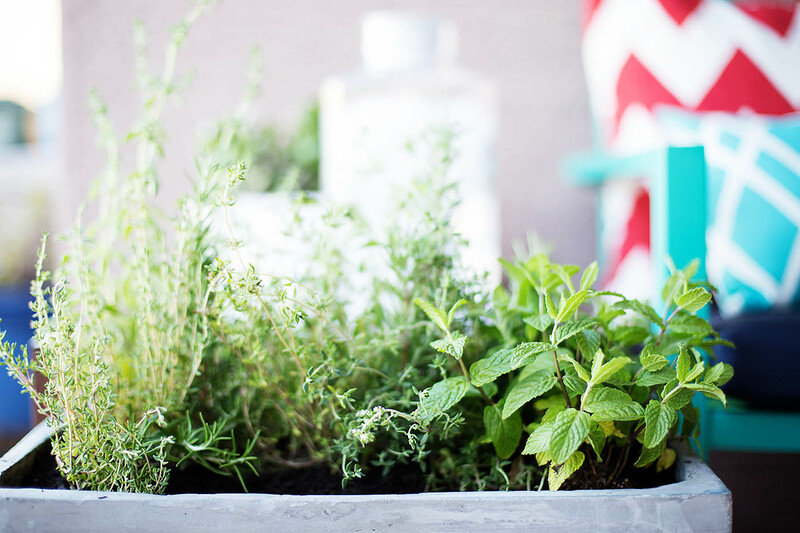 Have you found a way to add herbs into your outdoor space? I can’t wait to add more to ours. 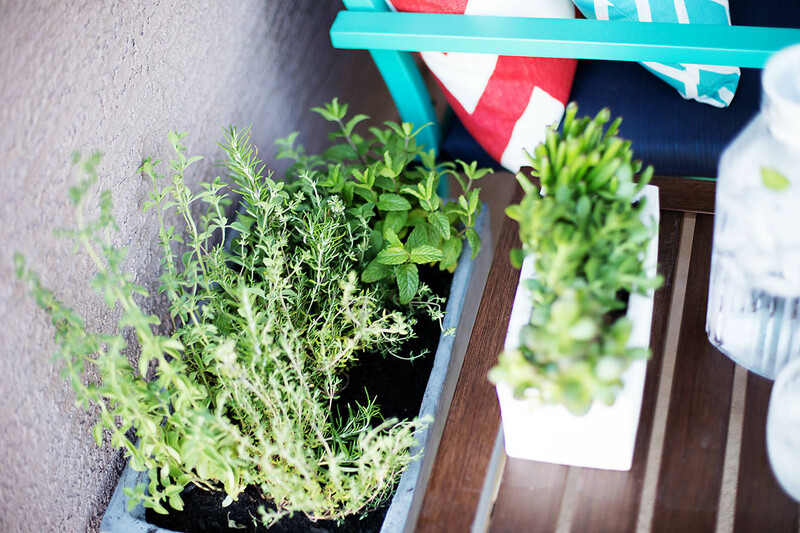 I think this planter gardening is the way to go for us right now! 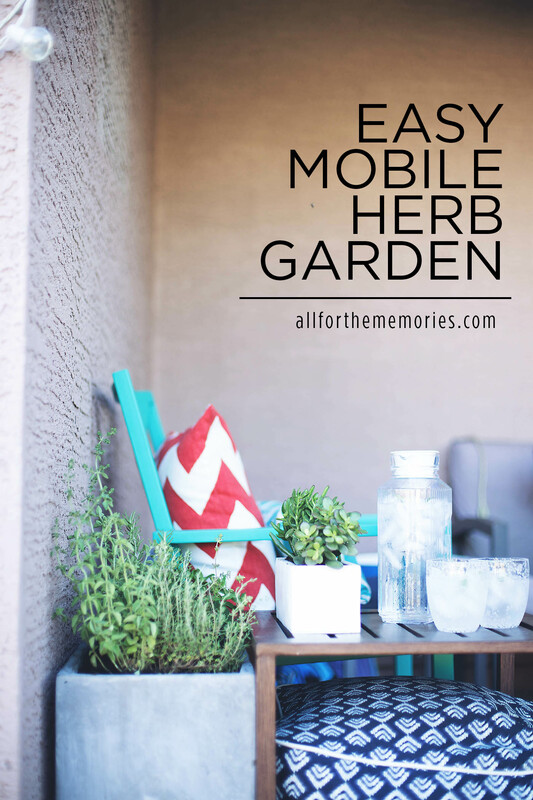 This is perfect and seems easy for someone like me who wants a garden but not a full one!